Amsterdam is the city of water. There was a time that water was more important than land. Water kept the enemy at bay and it allowed easy transport of goods. Since the seventeenth century, a maze of canals has divided Amsterdam into ninety islands all interconnected with bridges. With 1,281 bridges, Amsterdam beats Venice. The first bridges were built of wood, but with the city's increasing prosperity brick bridges replaced the wooden ones. 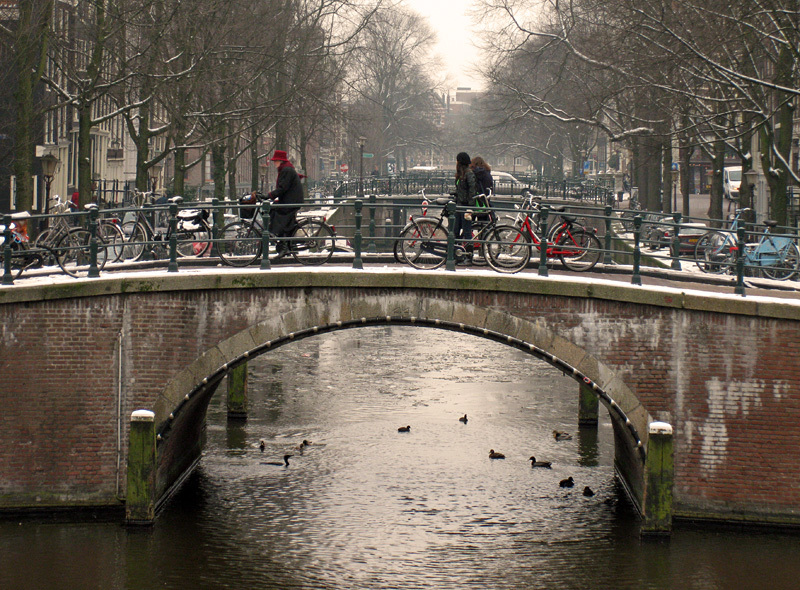 Amsterdam's arched bridges with elegant masonry became an integral part of the canal belt. 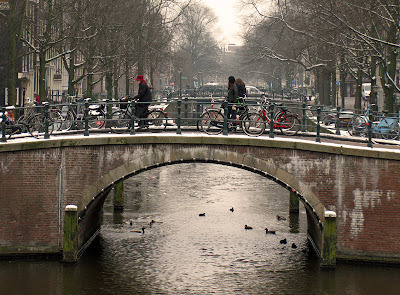 Bridges are a wonderful spot for seeing the city at its best – tree-lined canals, opulent merchant houses and bicycles leaning against the railings. One of the most famous canal views is the line-up of seven bridges in a row. Stand on the bridge at the corner of Herengracht and Reguliersgracht and you will see fifteen bridges at one glance. Amsterdam has still one wooden bridge; Magere Brug, or Skinny Bridge. This bridge is pedestrian only and probably the most photogenic bridge of Amsterdam.